No. 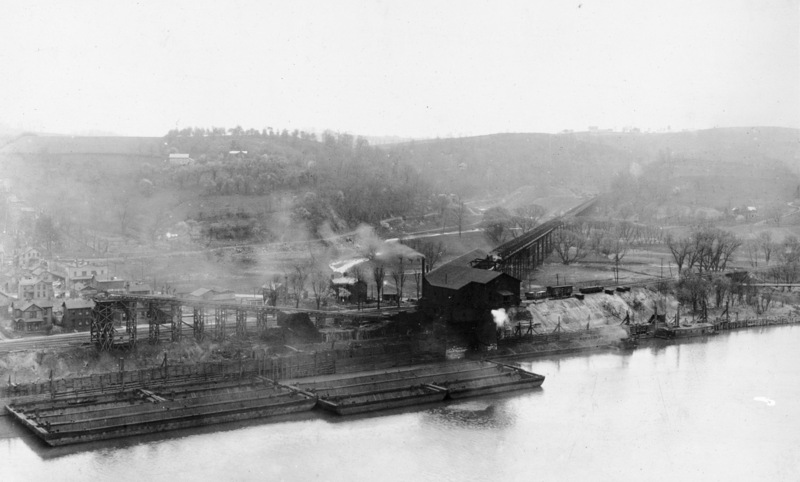 4 Vesta Tipple with Trestle and Rail Loading Conveyor, Washington County, PA, circa 1907. The mine tipple, with both river and rail loading facilities, was located on the Monongahela River near the dividing line between California and Coal Center Boroughs. The Vesta No. 4 Mine, originally opened in 1903, contained over 100 miles of track and 22 miles of pipeline of various sizes to handle water. Each trip of loaded cars arriving at the tipple contained approximately 500 tones of coal.